WEST WARWICK, R.I.--(BUSINESS WIRE)-- AstroNova, Inc. (NASDAQ: ALOT), a global leader in data visualization technologies, today announced that it has secured multiple commitments for its flagship ToughWriter series of flight deck printers following the Farnborough International Airshow. The show is one of the world’s largest aviation events for the aerospace and defense industry. With its light weight, low power consumption and compact form factor, the ToughWriter 640 is ideally suited for the technologically advanced flight deck of the 737 MAX. (Photo: Business Wire). The innovative ToughWriter 5 and ToughWriter 640 bring performance and operational benefits to the 737 MAX. 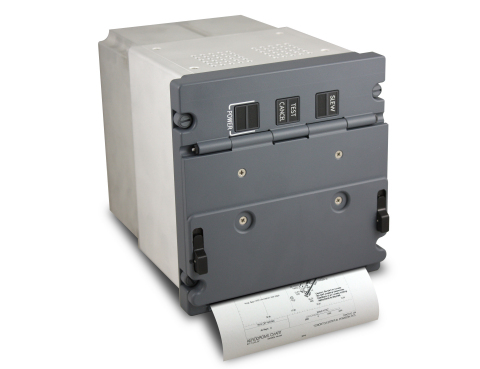 ToughWriter printers provide significant weight reduction over competitive printers, substantial improvements in reliability, lower power consumption and Ethernet connectivity, enabling direct connection to electronic flight bags and other avionics hardware. Information included in this news release may contain forward-looking statements within the meaning of the Private Securities Litigation Reform Act of 1995. Forward-looking statements are not statements of historical fact, but rather reflect our current expectations concerning future events and results. These statements may include the use of the words “believes,” “expects,” “intends,” “plans,” “anticipates,” “likely,” “continues,” “may,” “will,” and similar expressions to identify forward-looking statements. Such forward-looking statements, including those relating to commitments received following the Farnborough International Airshow, involve risks, uncertainties and other factors, some of which are beyond our control, which may cause our actual results, performance or achievements to be materially different from those expressed or implied by such forward-looking statements. These risks, uncertainties, and factors include, but are not limited to, those factors set forth in the Company’s Annual Report on Form 10-K for the fiscal year ended January 31, 2018 and subsequent filings AstroNova makes with the Securities and Exchange Commission. The Company undertakes no obligation to publicly update or revise any forward-looking statements, whether as a result of new information, future events or otherwise. The reader is cautioned not to unduly rely on such forward-looking statements when evaluating the information presented in this news release.